With the growing severity of data protection regulations scandals concerning data also grew louder that contributes to making people more conscious when handling own data, thus improving data protection consciousness. According to opinion of the professionals of FORTIX, a data bank developed in Germany (VERIMI) helps people achieve greater control over data and have data in greater security with the basic principle that data need to be entered at a single point, on a single interface instead of doing so separately on each site. This way each user can process his/her data in a single system and it is sufficient to modify a given piece of data on this interface instead of doing so everywhere. Similar to this solution, a system developed in Hungary (GoodID) is also available that likewise supports secure online registration, thereby facilitating the login process, since it is not necessary to remember user names and passwords. This task is performed by the application with a confidential unique key. Data represent a growing value, therefore it is particularly important to handle own data appropriately, and to provide data in online processes with sufficient consciousness. We have not lost our initial enthusiasm! PS Team held another volunteering day in January! We focused on cooking for the homeless and help disadvantaged children. 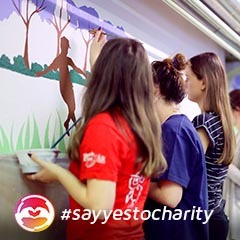 Our team made sandwiches and hot meals and last but not least we painted the halls of a school and made them colorful, with the help of 60 volunteering colleagues. 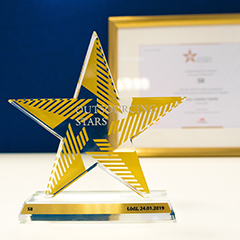 As a result of its development and effective operation in 2018, Process Solutions Poland won the Fastest Growing Accounting & Payroll Organisation Award on the Outsourcing Stars competition. What does 2019 hold for the accounting profession? In the year 2018, there were a number of new regulations and challenges for accounting professionals, but what changes does 2019 have in store? – Summary by János Babos, Managing Partner of Process Solutions. © 2015 PROCESS SOLUTIONS. All Rights Reserved.